To reach Michigan Alliance for Families, contact us or search our staff directory. Unable to connect with your mentor? Contact the Information and Referral office at info@michiganallianceforfamilies.org or (734) 994-8100 ext 1590. 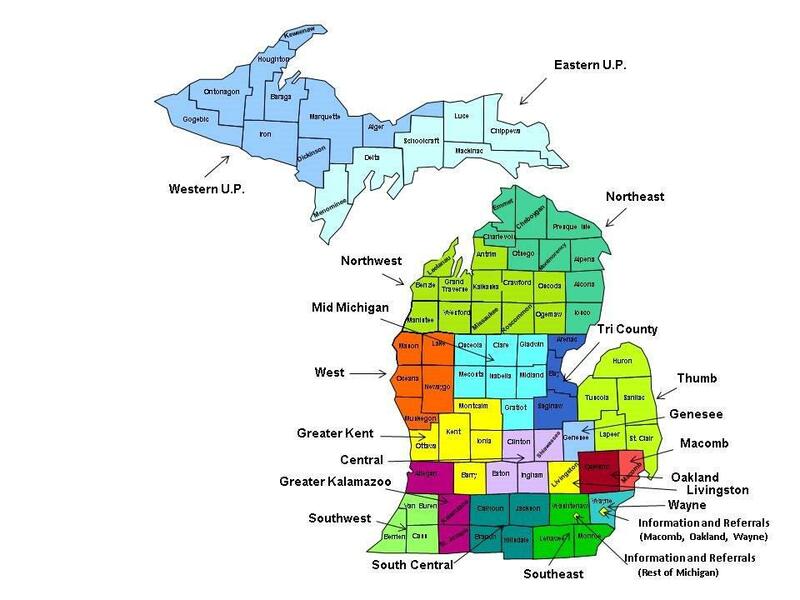 Map of Michigan with counties grouped by color into regions. The information conveyed in this image is available in text format below this image.